Before starting Agile Internet Marketing , Kevin Burke was Sales Director for Electronic Products for Thomas register, the leading Industrial Directory and Search site on the Web. Burke educated the sales force on all issues relative to Search Engine Optimization and spoke throughout the country conducting seminars on the then emerging topic Search Engine Optimization. 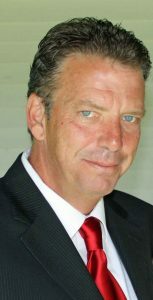 Before joining Thomas in 1999, Burke was Sales Manager for the dotcom start-up Eventory which offered ecommerce services for Industrial Distributors. Burke has a deep understanding of the challenges faced by small and large businesses today. Before his tenure in the Internet world, he was a Manufacturer’s Representative of Electronic components for almost ten years. Prior to that he was Executive Vice President of Helix Wire and Cable in Leominster Massachusetts. His broad managerial experience allows him a quick understanding of the complexities and challenges facing many businesses today and the importance of measuring ROI for marketing investments. Burke has spoken before large and small groups but always with the intent to educate, inform and enlighten businesses on how to leverage the Internet for increased sales and business. “Kevin has the ability to reduce a very complex area into concrete “takeaways” and action points so his audience can begin implementing ideas right away. He never gets bogged down in extraneous details that will only confuse people”, said Gary Rayberg, President of The New England Business Brokers Association.